So it’s the perfect time to present to you what I call my “No Way Pedro” article. It’s similar to the bold predictions you’ll see swirling around the internet this time of year. Those of you who read this last year may have been presently surprised. I predicted the Indians winning the World Series (not far off), Gregerson will lead the Astros in saves (he tied Giles with 15), Piscotty will out homer Carpenter (22 to 21) and David Peralta will have more value than AJ Pollock. Ok, so that last one was a bit questionable considering they had 212 at-bats between them. There were also some pretty horrendous ones as you’d expect. My particular favourite being the currently unemployed Brett Lawrie would lead the White Sox in home runs. Paul Goldschmidt will have a 30/40 season whilst scoring and driving in 100 runs to win the NL MVP. The Diamondbacks are full of intrigue and question marks. If enough things tilt in their favour, a run at the postseason is possible. If the supporting cast around Goldschmidt stay healthy and productive, the sky’s the limit for the best player in Arizona. Ender Inciarte will lead the majors in runs scored by an outfielder. A healthy Inciarte can steal 30 bases. He’ll be leading off for the Braves, hitting ahead of Swanson, Freeman and Kemp. He gets on base frequently and I like the Braves to win at least 81 games this year. All spearheaded at the top of the order. Wellington Castillo will be a top 3 Catcher. Outside of Posey, Lucroy and Sanchez, catcher is pretty thin as always. Off field distractions led to a drop in Castillo’s production in the second half of last year. 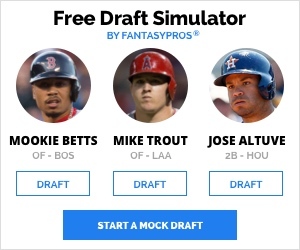 But he’s always toyed with being near the top tier of fantasy catchers. Maybe the move to a power laden lineup will spur him on. Mitch Moreland will lead the team in home runs. Everyone is excited about the new and young faces in Boston and fans are looking for a new face of the franchise now Ortiz is gone. But the 31 year-old Moreland is a 20+ homer a year guy, now in an extremely friendly ballpark (9 of his 22 homers last year went to left-centre field). I can see Moreland harnessing his inner Papi and taking that to a career year. Hector Rondon gets 35 saves. The Cubs aren’t worried about Davis (or so they say). But the newly acquired closer is coming off a significant arm injury, has struggled massively this Spring and his xERA the last two years screams of being lucky. If the Cubs aren’t worried, I am. Rondon is next in line and if he gets the job early, could run with it all year. No White Sox pitcher earns double digit saves. Surprisingly, Robertson wasn’t moved this Winter. But some competing clubs could still do with significant bullpen help. If D-Rob moves on, Nate Jones will pick up the slack but it’s also possible he could be traded should he show some success in the role. With wins seemingly hard to come by this year, there won’t be many chances for saves anyway. Billy Hamilton steals 100 bases. 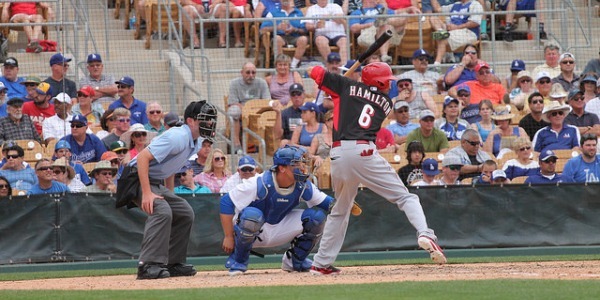 Hamilton has shown improvement at the plate throughout the last couple of years. An increasing OBP means more chances on base. The last two seasons have seen 115 stolen bases from 823 at-bats. The Reds will need something to get excited about late in the season so the bid for 100 steals could be just the tonic to get fans through the gate. Corey Kluber wins the AL Cy Young. A supposed down couple of years after his CY Young winning 2014, Kluber is still a stud and a return to even nearly 2014 numbers should see Kluber become a two-time Cy Young winner. Gregg Holland will be a top-5 fantasy closer. The Rockies have a decent team, not the worst rotation they’ve had in recent memory and could present plenty of opportunities for their newly acquired closer. Holland’s velocity this Spring has been good, he’s throwing his secondary stuff pretty well and although he’s given up a few runs, looks likely to be effective in the 9th at the very least. James McCann hits 25 homers. McCann traded away contact for power last year which bolstered his limited fantasy value as it is. Now 27 and entrenched at the Tigers’ no.1 backstop, McCann’s increased playing time could see significant improvements at the plate. Altuve, Correa and Springer will combine for 100 home runs and 100 stolen bases. It doesn’t sound that much, but considering they combined for 73 homers and 52 steals in 2016, it’d take a huge jump to reach the 100/100 mark. But the Astros’ disappointed many last year so don’t be surprised if their stars decided to run riot (literally) this time around. No Royal will hit 20 home runs. I’m not a particular fan of Hosmer’s and just because he topped 20 last year, I’m not buying it. Sal Perez has had a massive workload for a catcher and was nursing nagging injuries last year. Then there’s Brandon Moss and he’s no lock to repeat. All in all, I think this will be a huge down year for the Royals. Ben Revere will lead the American League in stolen bases. The forgotten speedster has a new home and despite being a possible platoon candidate, will win the job outright and return to the heights which made him a very decent fantasy asset only a couple of years ago. Adrian Gonzalez hits 25 homers, bats .290 with 100+ RBIs. It’s easy to look at last year and think the age decline is in full force. But with Bellinger looming in the minors and with something to prove, don’t discount the former Red Sox slugger doing a Papi and hitting form again well into his 30’s. Giancarlo will lead the majors by hitting 50 home runs. Stanton is the biggest power threat in baseball. But he can’t seem to stay healthy. Having never topped 40 let alone 50, Stanton will have one year of good health. Surely. And when he does, baseballs will be destroyed like not seen in a while. Eric Thames won’t hit 18 home runs and will get fewer than 500 plate appearances. The majority consensus is in favour of Thames being a sleeper pick to have a great year. But he wasn’t projected for stardom before heading to Korea and Byung-Ho Park hardly turned his KPO form into major league numbers. He did everything he could to make the team this spring. Yet he still finds himself in the minors to start the year. The Twins roster construction looks odd and if they don’t start Park now, when will they? Cutting ties and letting him return to Korea seems like a good option for all involved. Last year I said “Syndergaard will be the Mets highest ranked pitcher”. Ok, so it wasn’t that crazy a pick (despite him being the Mets’ no.3 starter heading into 2016). So how about this one? Robert Gsellman will win more games than any Mets pitcher. Harvey, deGrom, Wheeler and Matz all have had problems staying healthy. Syndergaard is a stud but should he falter or get hurt, Gsellman could see enough starts and pitch well enough to pick up the W’s and lead the Mets to the playoffs. Luis Severino will have a sub 3.20 ERA and lead the American League in wins by a pitcher. Massive struggles early last year saw a demotion and spell in the bullpen. He figured things out and given his 2015 cameo for the Yankees, there’s enough there to get excited about as a star. The A’s will have 3 different pitchers registering double digit saves. Madson is expected to be the closer starting out the year. But he’s had his struggles. There’s Casilla, Doolittle and Dull also in the mix to take over. All of who will have spells of greatness mixed in with garbage. So there’ll be saves shared around the pen. Roman Quinn will be the Phillies’ most valuable fantasy outfielder. Demoted until he can get regular at-bats for the Phillies. Saunders can hit the DL at any point leaving a spot open for Quinn who can cause havoc on the bases. He should make the majors sooner rather than later and when he does, he’ll have to play regularly regardless. I included Tyler Glasnow here last year in saying he will get 10 wins. Now I’m saying he’ll lead the Pirates in saves. Relying on Watson or Hudson to lock up the 9th might be a problem. The Pirates could easily contend this year and might not be willing to go outside the organisation for bullpen help. Given Glasnow’s electric stuff but struggles to command some pitches, he could flourish as a closer until he harnesses his stuff more. Erm…… The Padres look brutal on paper. Barely a major league outfit. But there’s some intrigue in the outfield. And Margot and Jankowski will steal more bases than any NL player not named Hamilton, combining for 100. They’ve got to create runs somehow and being a bit reckless on the bases could be the only way to do that. Joe Panik will win the batting title. Despite hitting just .239 last year, Panik is a contact hitter. A .300 average is well within his grasp so taking a further step and possibly a bit of luck could see Panik add .100 to last year’s average. Edwin Diaz ends the year as fantasy’s no.1 reliever. Diaz took over the closer role in Seattle last year and looked every bit the part. Huge strikeout numbers and everything he did looked elite in the role. Given that Seattle have improved their lineup (on paper at least), 50 save opportunities could present themselves. Carlos Martinez wins the NL Cy Young award. Two years of stud numbers and still only 25. Surely there’s a Cy Young award at some point so why not this year? Kiermaier and Souza Jr will have 20/20 seasons. 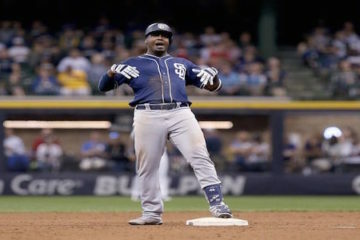 The Rays lineup looks as brutal as the Padres’, maybe even less exciting. So they’re going to need some of their established names to produce big to avoid a disastrous year. Sam Dyson gets fewer saves than Matt Bush and Jeremy Jeffress. Dyson doesn’t strike out hitters nearly as much as the top closers and any 9th inning struggles could see him used more as a “runners on base” reliever, leaving Jeffress and Bush closing duties. Both could have more success in the role. 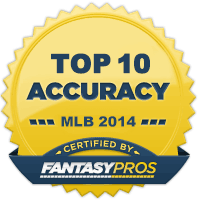 Kendrys Morales is the only hitter in the Top 100 hitters for fantasy value. Bautista needs to stay healthy and at 36, that could be an issue. Donaldson has spent two years missing time on and off with a calf problem which has plagued him earlier this spring. If they both break down, it’s difficult to see where else the production will come from. The hype train is in full swing and if all these people are correct, Turner is a unanimous MVP winner. So that’s it. But I have one more for you. And that’s the World Series winner. Detroit Tigers! I predicted their AL Central rivals Cleveland would do it last year and the Tigers might only have one more chance with their current roster to do it. What’s that you say? No Way Pedro!